Welcome to Part 1 of our series, Why Hollywood North Makes a Great Travel Destination! Canada is nicknamed “Hollywood North” because so many Hollywood films are actually shot here. If you know what to look for, you can spot Canadian cities like Vancouver, Toronto, Montreal, and Quebec City in many blockbusters. And many great Canadian landscapes are prominently featured in films, with some iconic natural sites stealing the scene! Did you know that Titanic’s icy water scenes were filmed in Halifax, Nova Scotia, or that Chicago was actually filmed in Toronto? If you need more excuses to visit Canada in 2016, this year’s Oscar nominated films featured a wide variety of Canadian landscapes and sites too. If you’re like me, you love the big screen, and get inspired to travel when you watch a great film. Maybe it’s an expansive prairie landscape, or a beautiful fjord, or maybe you just like the look of that restaurant in the scene that made you laugh! Films can make great travel inspiration for many reasons, and especially for those who love trip planning, research, and film trivia. The films nominated for the recent Academy Awards, show that directors love shooting in Canada. 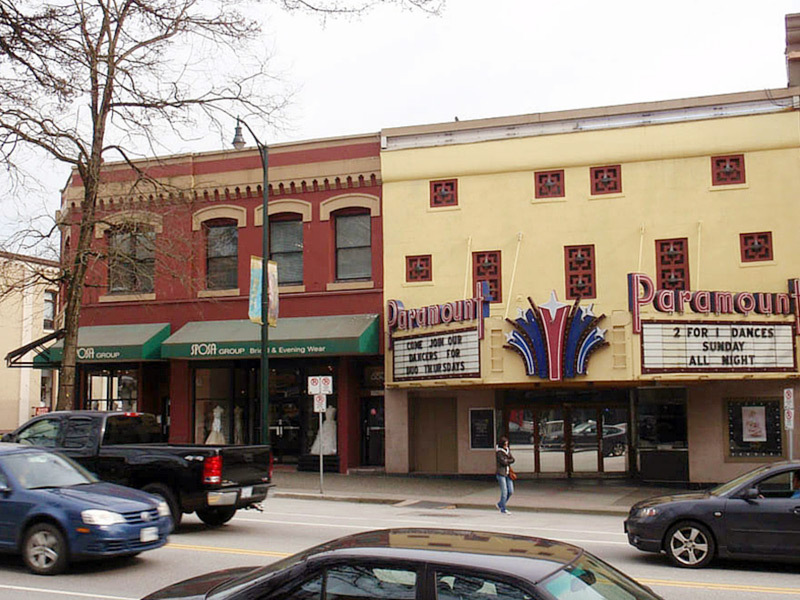 By now you’ve probably all heard that The Revenant was shot in Calgary and Kananaskis, Alberta, but did you know that many scenes were also shot in Burnaby and Squamish, BC? Leo might have won best actor, but many critics argue the biggest star of the Revenant were the scenes in Alberta’s Bow Valley Fortress Mountain. Coincidentally, Leo DiCaprio knows this Alberta location well, having filmed the snowy scenes of Inception there too! 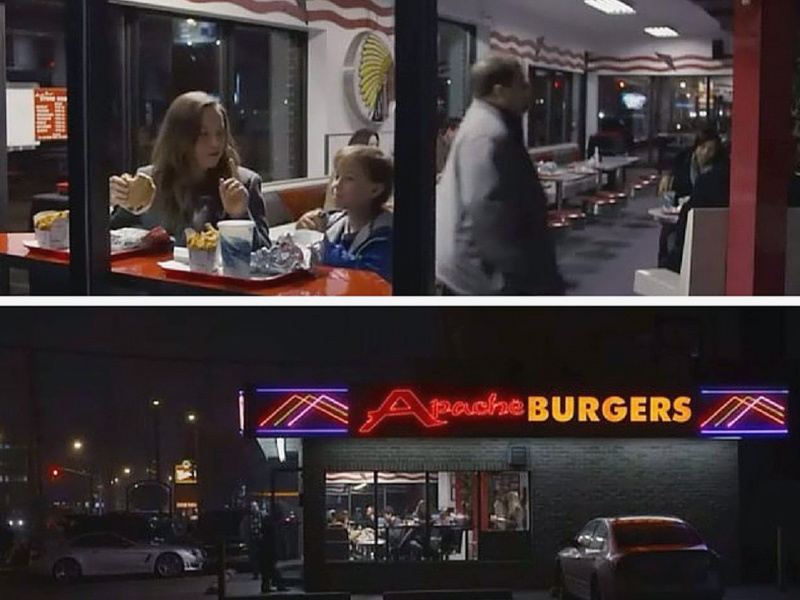 You can find other notable Oscar 2016 Canadian filming locations such as Spotlight, set in Boston, but actually shot in Hamilton, Pickering, and Toronto, Ontario; Brooklyn, mostly shot in Montreal, Quebec; and Room in Etobicoke, Ontario. Check out Reel Toronto for details on Room’s Canadian shooting locations, and other scene-by-scene filming locations of other films shot in Toronto. Great scenes from movies filmed in Canada can inspire your next trip. With these tips, you’ll soon have trip ideas flowing! Curious about what a live film set is like? Want to join the fan community of your favourite director, celebrity, or better yet, be a film extra if you’re staying in Canada for a while? Do some research on what’s filming right now, and plan your trip around that. Check out the Association of Canadian Film Craftspeople (ACFC) or the Alliance of Canadian Cinema, Television and Radio Artists (ACTRA) in each city. For real time updates, follow Twitter accounts like @yvrshoots and @whatsfilming or simply search for film shooting related tweets in your city. If you’re travelling with tweens or teens, film sets and locations make great options, especially if you have kids who are difficult to please on vacation! Take them to visit a live set, and show off some great photos of famous film locations when they get home. Seeing how Hollywood films are shot and really made makes an educational trip while visiting Canada. “Ah, Brad Pitt leaned against this same brick wall in Gastown, Vancouver!” If you’re lucky, you’ll run into a celebrity while you’re visiting a Canadian city, like I have! I’ll never forget the day I literally collided with Linda Hamilton of Terminator fame on Georgia Street in downtown Vancouver. I was too star struck to say anything, but she was kind enough to smile at me as I stood there with my mouth open! Go see a beautiful, stunning, strange, otherworldly place with your own eyes, and get a sense of why it was in the film. Remind yourself that “nothing is real” in the movies—some places are totally transformed. Marvel at the skill of the film industry’s art directors, set designers, CGX. 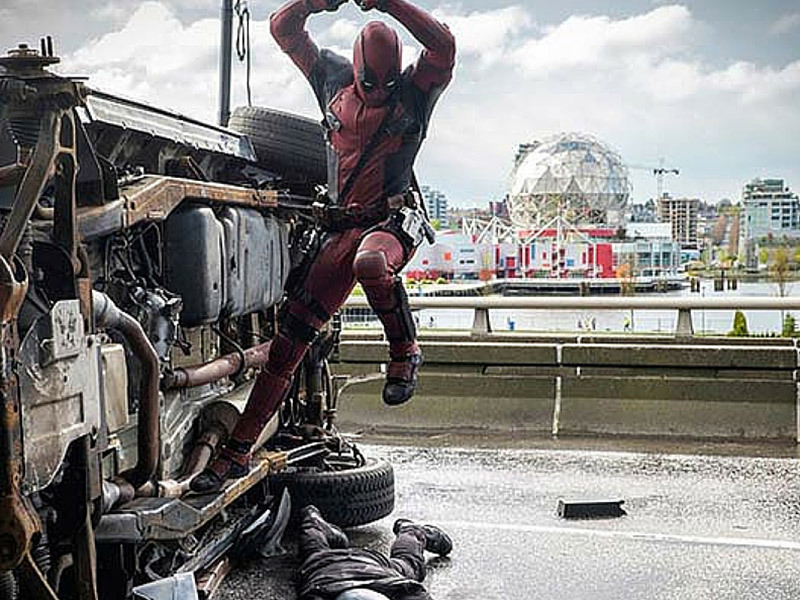 Did you know that Deadpool was filmed in Vancouver, BC? Recreate a scene and take a great selfie (hashtag #instagramawesomeness!) Pose on the street like The Hulk in downtown Toronto, stage a high kick like Jackie Chan in the cult classic, Rumble in the Bronx, or pose at Niagara Falls like Superman or Captain Jack Sparrow from Pirates of the Caribbean. Your travel selfies will definitely have more flair and be a little different! Connect with the locals and popular Instagram tags to get in-the-know for all the fun film travel backdrops and film sites. Use a favourite film as inspiration to see something less touristy while you travel. This clever article shows you 7 Hollywood films and links to the Canadian neighbourhoods they were filmed in. Talk about getting off the beaten path! 4 frequently asked travel insurance for Canada questions will put you in the know. Hopefully you’ve been inspired to travel to more Canadian film locations, or at least watch some of these great films again!